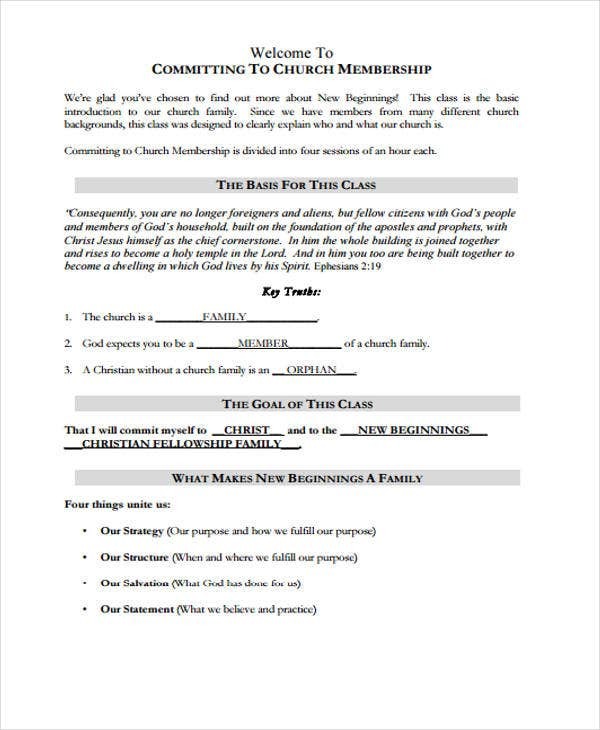 An outline forms part of the basic structure of any written document. Information, data, compositions, and anything else could be written comprehensively with the aid of an outline. There are different topics and matters that are subject to discourse, and initially, an outline could designate information all in accord. Outline writing could get really challenging at times. You would need to break down information just to get to the gist of it so you could properly outline topics. 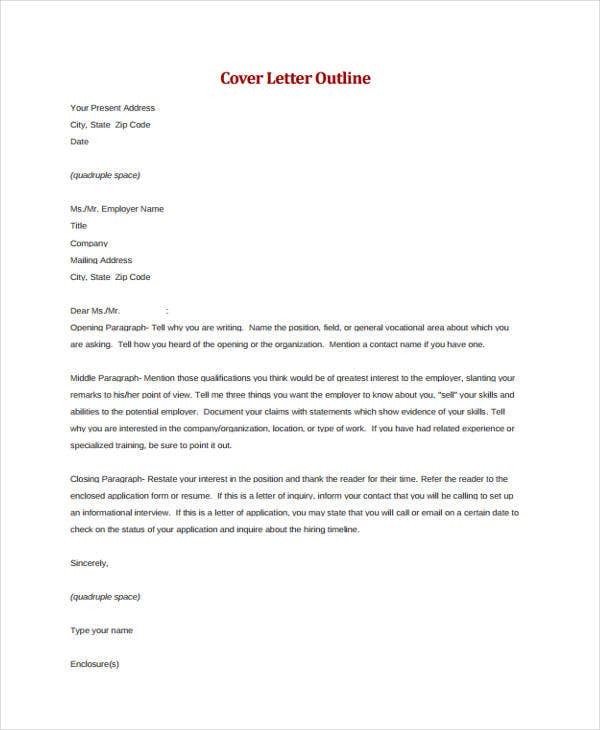 It is for this reason that most people make use of different outline templates to have an indirect guide as to what to write and what not to. 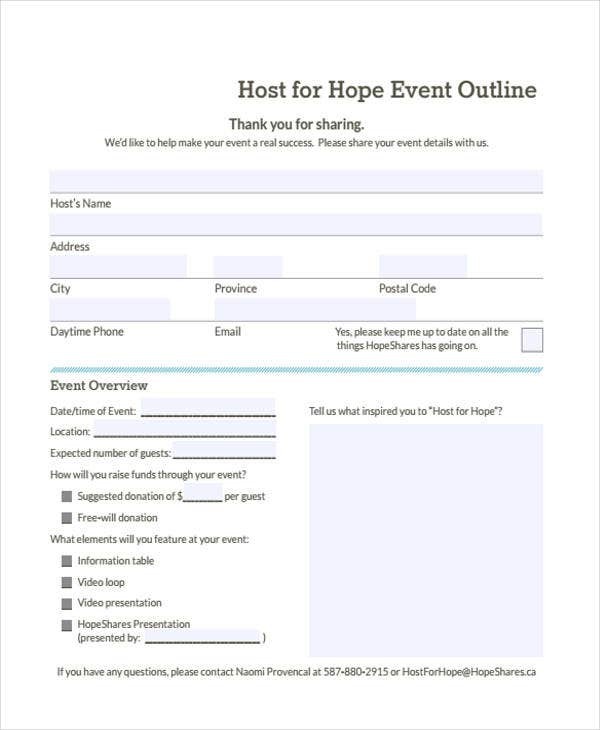 What Is a Formal Outline Format? 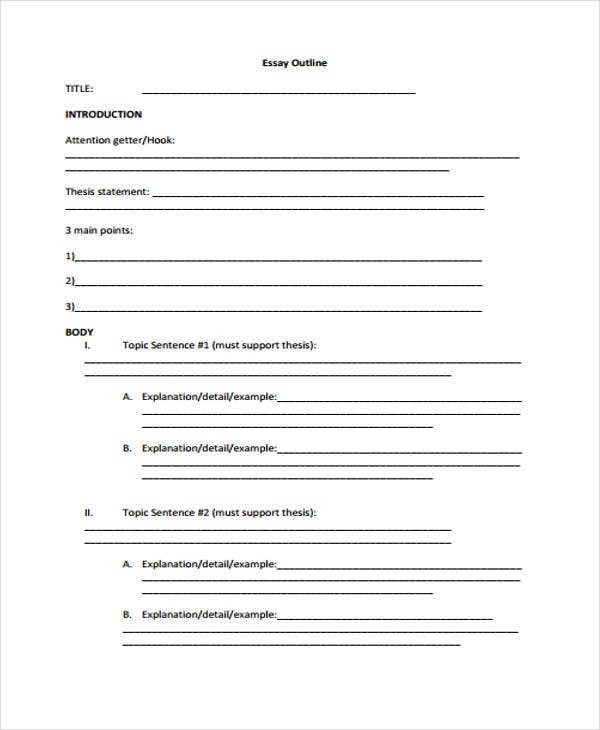 A formal outline format is a style of appearance or presentation that is legibly printed as a file or as a tangible document. It is considered a structure or an invisible backbone of any document bound to be simplified for better information comprehension. 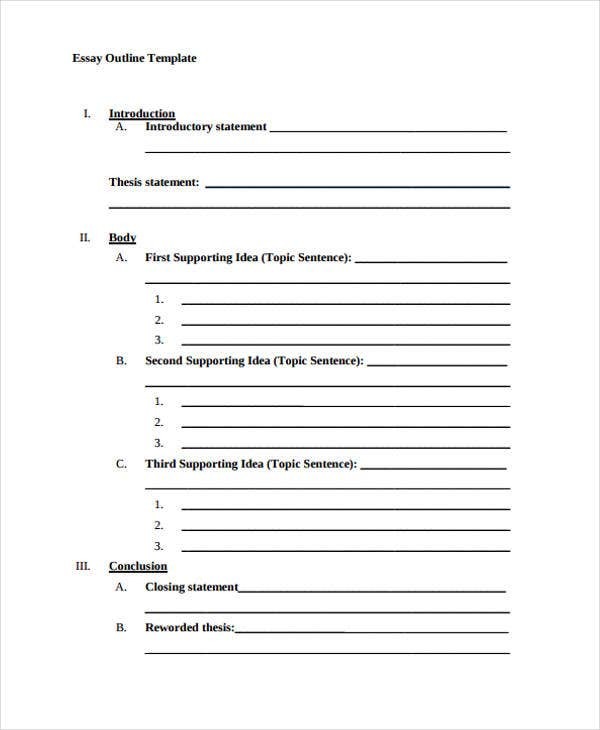 A formal outline formal also suggests to shorten topic discussions leaving unnecessary information out of the picture. 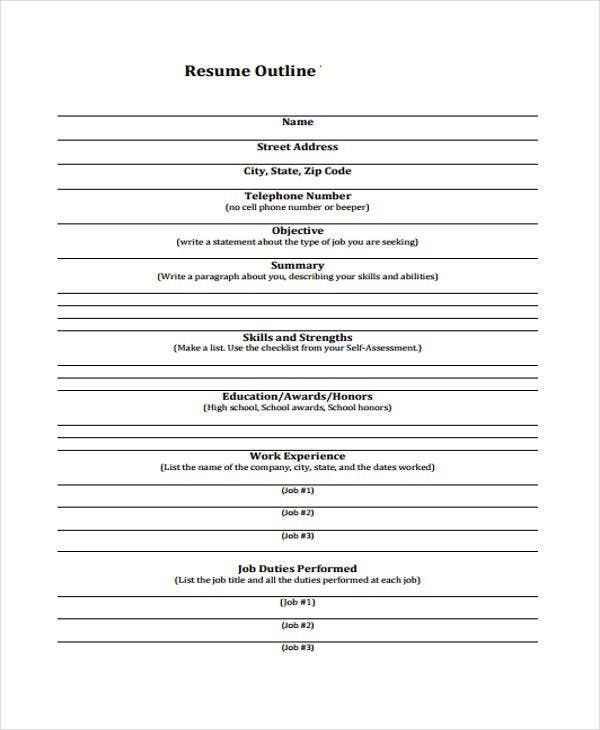 Writing an outline for a job is just like drafting a resume or an application letter. You allot space for relevant information that could be needed in a certain job file document. List information. To figure out an outline, list all the information you would need for a job. Simplify your list. Filter the closest and most important information you would need. Imagine that you’re narrating your relevant skills, experiences, and achievements through a story outline template. Develop an order of information. Like a specific order followed through in training course outline templates, decipher what relevant information should come first. 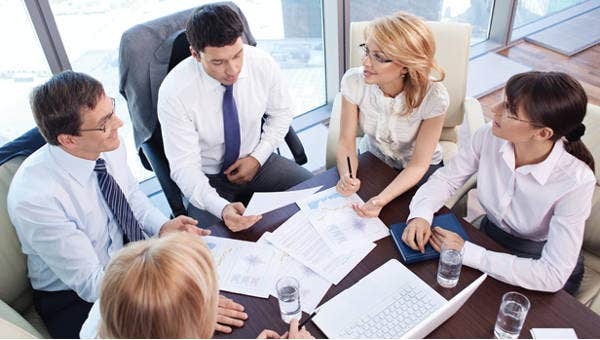 Subsequently, you will be able to finalize your job outline in an outline template in PDF or DOC file format. If you aim to come up with a great article, it is important that you get to create a working outline first of all. 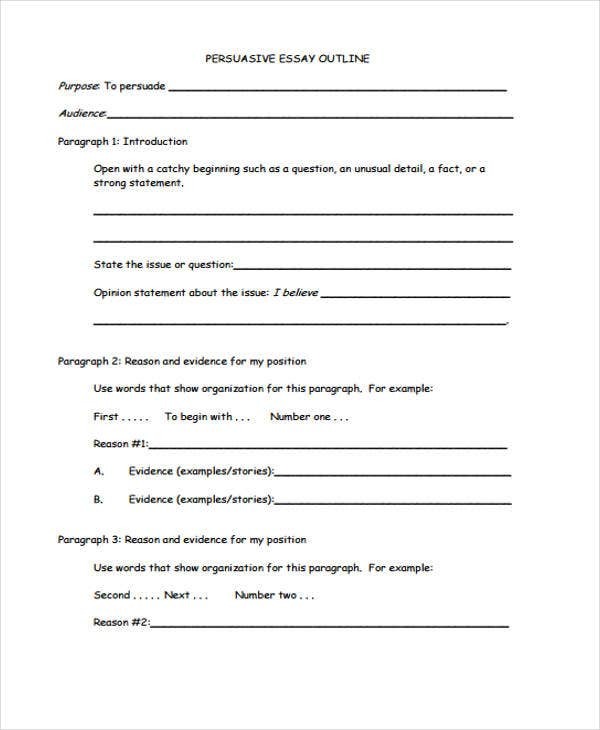 Outline templates in Word or in any document are better written when there are credible steps that one could follow. Choose a general topic. Once you’ve determined a general topic, it would then be ideal for you to create an outline out of it. The best topics are the ones that are effective when incorporated in an outline. There are a lot of ideas and subtopics that could branch out from the general idea. By now, you are most likely to get the bigger picture that an outline has always been meant to simplify discussions at the same time resound in terms of content and quality. Structure supporting ideas out of the main ideas. 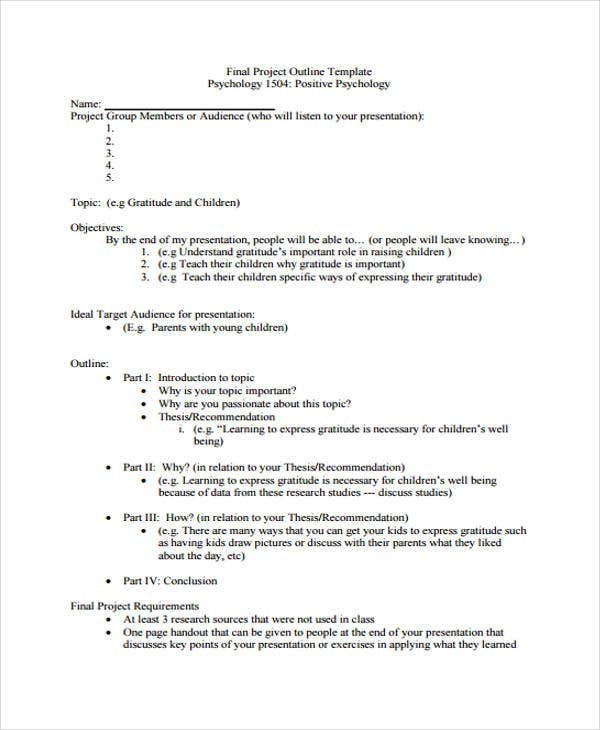 Given that you already have a general topic to digest, sort out supporting ideas from the main ideas that directly relates to your general topic. It in this step that you begin to structure information according to types, categories, classifications, and other ways of simplifying information. Assign main ideas into sub-parts. A neatly structured set of ideas is expected to be generated out of assigning labels to main parts. Organize your information in a way that it is properly labelled in roman numeric form. Observe chapter outline templates and notice how chapters are highlighted to emphasize on the gist of each chapter. Bullets are ideal for simplifying sub-parts, however, they are not recommended when trying to connect information from the general topic down to the simplified part. Adjust information accordingly. Review your outline from time to time to see if you have everything covered. When there seems to be lapses in the information you have set in your outline, adjust a few parts and always make room for essential information. Like any article, your outline would seem to be lacking if you miss out on the information you choose not to include. While most outline enthusiasts are fond of making use of an outline to simplify general topics, there are other uses an outline can be used for. One should not be limited with its uses when it comes to writing an outline. 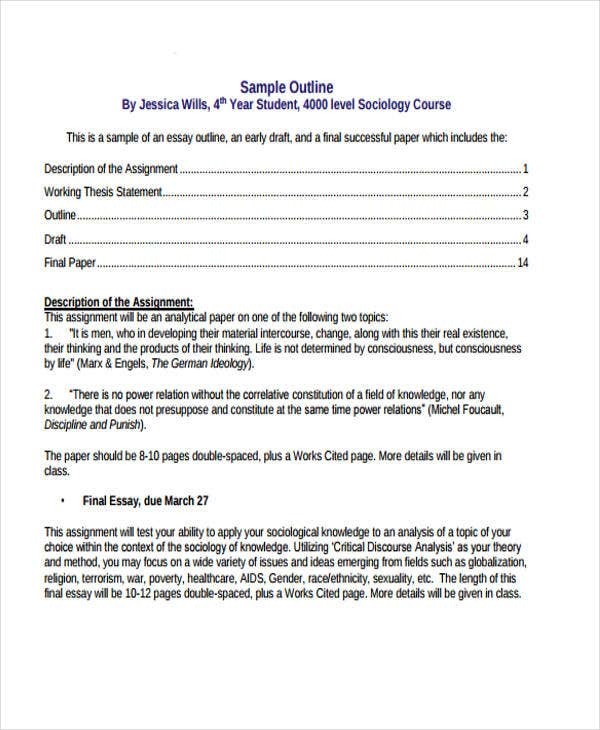 Working Outline – An outline could be used as a work guide that’s subject to constant revisions. A working outline does not stay permanent due to flexibility in the work schedule and other work purposes. 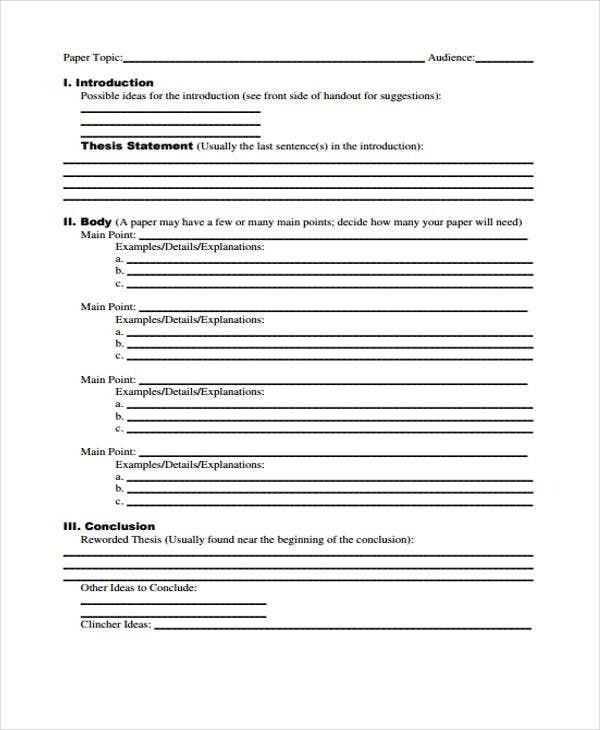 To some, a research outline template is a working outline that sets to monitor what work tasks are to be done to progress in research. 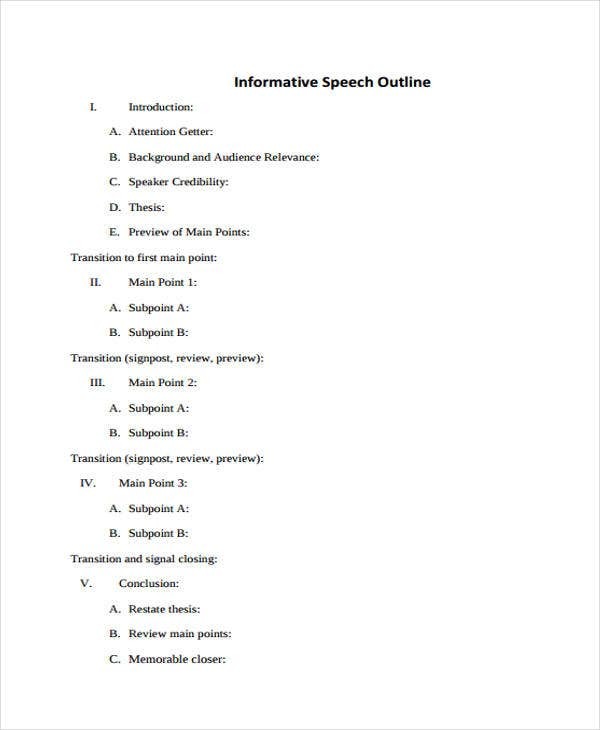 Draft Outline – An outline could also be considered as a well organized draft. It basically just runs through an initial format that is subject to polishing and subject to finalization upon discretion of whoever creates it. Book outline templates are useful when creating lengthy drafts for publishable books. 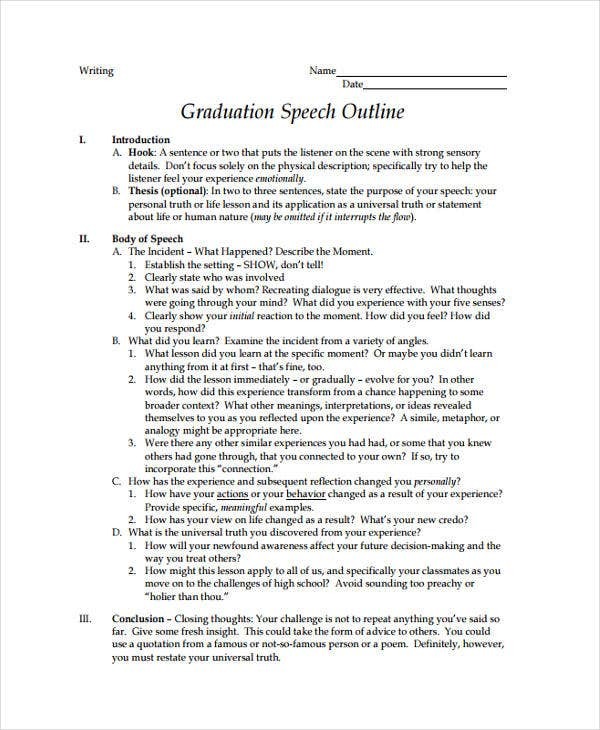 Formal Outline – A formal outline is something created to be finalized and printed as soon as information is well discussed and ideal for printing or saving for any matter. 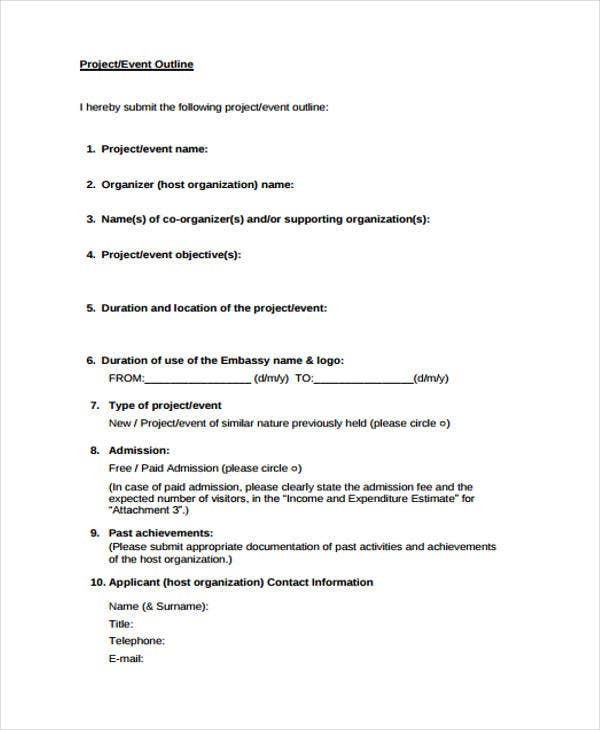 This use of outline is ideal for following a certain order in information or any other matters that should be presented in a formal way. The variety of uses of outlines are definitely fascinating as it goes beyond just its normal use. In conclusion, everything is well-organized when outlines are properly utilized. What Is an Alphanumeric Outline? Most outlines usually consist of alphanumeric labels that serve as a label for each sub-topic, category, classification, and etc. An alphanumeric outline is an outline that uses both letters and numerals to evenly divide information and data. This is an outline commonly used to represent different stages, chronological orders, and levels among others. 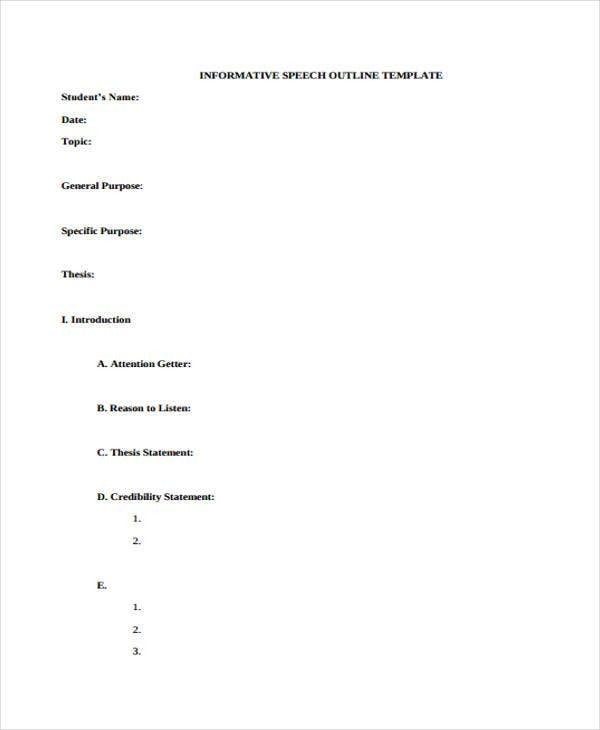 As what you can observe in a lesson plan outline template that’s perfectly structured accordingly and as what you’ve encountered in event outline templates, sub-topics are still numbered or labeled and not provided in bullets. Roman Numerals – This may look like an unusual way of writing numbers but as soon as readers get to encounter sub-topics alongside roman numerals, a certain order is directly understood. Capitalized Letters – There is still a legit sequence applicable to outline when using capitalized letters for as long as it is reflected accurately as it is in the alphabet series. Arabic Numerals – This is the most common way of interpreting a sequence. The Arabic numerals could establish a common language to readers on whether an outline is written in an ascending or descending pattern. Lowercase Letters – An outline presented with lowercase letters to represent sub parts also suggest a neat and orderly outline. Everything you need to know about getting started with outlines is made informative and systematic for you in this page. 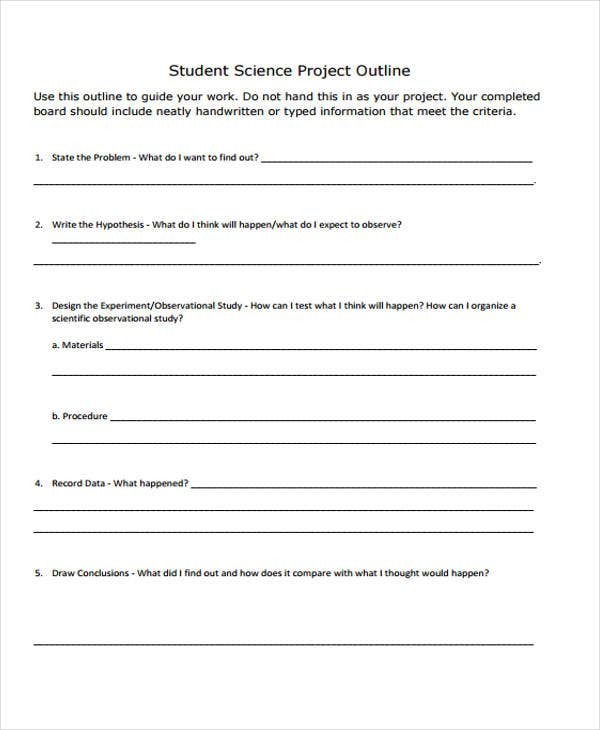 Feel free to browse through our outline templates and get discussions in order your own way.